There are many accredited online colleges in Florida from where you can earn your degree or professional certificate. These include four-year public universities, public colleges, career schools and private for profits as well as private nonprofit universities. These colleges offer the best and most diverse education to meet the needs of the community, region and nation at large. They have programs in all categories whether engineering, natural sciences, management or healthcare. You will find a short course, diploma or degree program that will help you kick start your career or advance it for those who are already working. University of Florida is without a doubt one of the well-established public colleges where you can study for a degree program, whether a bachelor’s or master’s, online. It offers a broad range of majors in Criminology and Law, Nursing, Anthropology, Sport Management, Biology, Psychology, Geology, Telecommunication Media and Society, Business Administration and Computer Science. Students already taking undergraduate courses may also enroll for minors in Business Administration which requires 24 credits, Sociology which requires one to complete 15 credits and Mass Communication Studies which also takes 15 credits to complete. Associate degree holders seeking bachelor completion may enroll into Digital Arts & Sciences, Microbiology and Cell Science, B.H.S in Communication Sciences & Disorders and Fire / Emergency Services. The university further offers specialist degrees, masters’ degrees, doctorate degrees, certificates, non-credit course and non-degree credit courses. University of Florida is accredited by the Southern Association of Colleges and Schools Commission on Colleges (SACSCOC). Florida State University is a top public college through which you can earn your bachelor’s or master’s degree. Aside from the degree programs, the college also teaches specialized studies and certificate programs. Undergraduate degree programs that students may enroll for include Computer Science, Criminology, Social Science and Public Safety and Security which has majors in Law Enforcement Operations, Crime Scene Investigation, Police Science and Law Enforcement Intelligence. Certificate Programs that one may study for are Multicultural Marketing Communication, Leadership Studies and Public Administration – Emergency Management. The masters’ programs are offered through the Colleges of Communication and Information, Business, Social Work, Criminology and Criminal Justice Nursing and Education. Students seeking doctorate degrees may study Library and Information Studies, Educational Leadership and Policy and Educational Leadership or Administration Specialist. There are also plenty of certificate programs under the graduate category including Youth Services, Nurse Educator, Event Management and Information Architecture. FSU is accredited by the Southern Association of Colleges and Schools Commission on Colleges (SACSCOC). University of Central Florida is a leading public college in Florida. It provides online learning opportunities to individuals who can’t find the time to attend classes on campus. It has room for undergraduates, graduates and students seeking certifications in different areas of study. The undergraduate majors offered include English – Creative Writing, English – Literature, Sociology, Political Science, Communication and Conflict, Nursing Completion and Health Services Administration. Masters’ degrees that you may choose from include Criminal Justice, Environmental Engineering, Forensic Science, Health care Informatics, Research Administration, Non-Profit Management and Design & Technology. UCF also offers certificate programs such as Construction Engineering, Police Leadership, Mathematics, Special Education and Professional Writing. Students seeking admission into undergraduate courses must submit their high school and college transcripts as well as ACT or SAT scores. Graduate applicants must be in possession of a baccalaureate degree with a minimum GPA of 3.0. UCF is accredited by the Southern Association of Colleges and Schools Commission on Colleges (SACSCOC). Complete your bachelor’s degree online through the University of South Florida’s Innovative Education. Students have the options of joining the school for undergraduate degrees, graduate degrees and other courses depending on their academic qualifications and goals. The learning process includes classwork combined with practical, clinical skills and internships, giving students the experience they need to be productive and competent. Examples of undergraduate programs available are B.A in Women’s and Gender Studies, B.S in Applied Sciences – Criminal Justice, B.S in Applied Sciences – Public Health, B.S in Applied Sciences – Information Studies, B.S in Nursing and B.S in Information Technology. Students enrolling as graduates can choose courses to pursue from a wide range of programs including Cyber security, Child and Adolescent Behavioral Health, Gifted Education, Epidemiology, Infection Control, Public Health Practice, Global Sustainability and Medical Science with a concentration in Athletic Training. USF is accredited by the Southern Association of Colleges and Schools’ Commission on Colleges (SACSCOC). University of Miami is the place to accomplish your academic goals. It’s a renowned private college in Florida that gives individuals the opportunity to study for certificate, undergraduate and graduate programs. The Bachelor of General Studies degree is offered entirely online. Students may earn certificates in Accounting, Health Informatics and Finance. When it comes to master’s degrees, students will have many choices. Courses available under this category are Business Administration, Nursing Informatics, Sport Administration, Health Informatics, Communication, Finance and Professional Accounting. By enrolling into the university’s online studying format, you get to enjoy the same educational benefits as students on campus. The faculty is focused on giving you top quality education. The school is known for their top-ranked degrees. You can study at a time that suits you best because of the flexibility of the classes. University of Miami is accredited to award degrees and certificates by the Higher Learning Commission (HLC). Stetson University is an established private college in Florida where you can study online for your degree. It offers 3 programs which are Master of Accountancy, LL.M in Elder Law and LL.M in Advocacy Law. The Accountancy program covers advanced education in accounting, business law and information systems. The degree program is accredited by the Association to Advance Collegiate Schools of Business (AACSB). The LL.M in Elder Law is designed for attorneys who wish to specialize in Elder Law. Students who successfully enroll into this program will cover courses such as Long-Term Care Planning, Retirement Planning, Estate and Gift tax Planning and Ethics in Elder Law practice. The LL.M in Advocacy Law is open to law graduates who also have a license to practice. It’s been ranked number 1- seventeen times- by U.S. New & World Report. Stetson University is accredited by the Commission on Colleges of the Southern Association of Colleges and Schools (COCSACS). Florida Institute of Technology is a leader in higher education and offers working individuals and prospective students the opportunity to earn their degrees or certificates online. The college has a number of certificate programs as well as degree programs for everyone including military service members. There are several associate degree programs that are taught at the college. These are AA Healthcare Management, AA Criminal Justice, AA Applied Psychology, AA Accounting and AA Computer Information Systems. The associate degrees give you the knowledge and credentials necessary when beginning a career. Those that are seeking a bachelor’s degree may study for courses in Psychology, Aviation Management, Business Administration, Criminal Justice, Accounting and HR Administration minor. Graduate students have the opportunity to study for Master of Science degrees in Information Technology, Supply Chain Management and Information Assurance & Cyber security. The college also offers MBAs with various specializations. Florida Tech is accredited by the Southern Association of Colleges and Schools Commission on Colleges (SACSCOC). Keiser University offers quality education to individuals who’d wish to study online and is accredited by the Southern Association of Colleges and Schools Commission on Colleges (SACSCOC). There are many associate, bachelors, masters and doctoral programs from which one can choose what to study. The Associate degree programs include Criminal Justice, Medical Assisting, Fire Science, Paralegal Studies and Homeland Security. Bachelor’s degrees offered include Accounting, Public Safety Administration, Health Science, Cyber Forensics and Imaging Science among others. Students wishing to enroll into master’s programs may choose Accountancy, Nursing, Joint MSEd and MBA, Clinical Mental Health Counseling and Education with a concentration on Teaching and Learning, Leadership, Allied Health Teaching and Leadership, Online Teaching and Learning or Career College Administration. One may also earn doctoral degrees in Chiropractic, Curriculum and Instruction, Instructional Design and Technology, Health Science and Industrial & Organizational Psychology. Successful graduates will be able to find work from entry-level positions to leadership and management. Embry – Riddle Aeronautical University is a top private college in Florida and one of the best institutions where you can earn your degree or certificate online. It offers Associate, Bachelor’s, Master’s and Ph.D. programs in different departments. 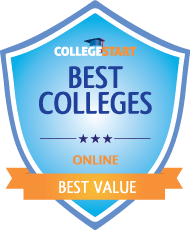 Its online bachelor’s programs were ranked 1st position by U.S. News and World Report. The College provides courses in Applied Science, Computers and Technology, Aviation, Business, Engineering and Security, Intelligence and Safety. Some of the bachelor’s degree programs offered include Aeronautics, Emergency Services, Technical Management, Aviation Business Management and Unmanned Systems Applications. One may also select the 4+1degree program which combines bachelor’s and master’s and is usually completed in 5 years. Master’s students may take courses in Leadership, Systems Engineering, Project Management, Aviation Finance, Human Factors, Occupational Safety Management and many other fields. The college also offers a Ph.D. in Aviation, which aims at producing teaching and research scholars in the aviation industry. Embry-Riddle is accredited by the Southern Association of Colleges and Schools Commission on Colleges (SACSCOC). You can study online for a bachelor’s or master’s degree at Everglades University. Everglades is a leading private college in Florida that gives flexible learning opportunities to individuals who wish to continue with their education without interrupting their daily lives. Prospective students may take majors in Alternative Medicine whose coursework covers nutrition and aging, traditional Chinese medicine, antioxidants, homeopathy and herbology & botany; Alternative and Renewable Energy Management with courses in Solar Energy and Photovoltaics, Nuclear Energy, Wind Energy, Geothermal Energy and managing and alternative energy project; Business Administration, Crisis & Disaster Management and Land & Energy Management. There are various master’s degree specializations offered including Business Administration, Public Health Administration, Entrepreneurship and Aviation Science. The university is accredited by the Southern Association of Colleges and Schools Commission on Colleges (SACSCOC). The programs will impart knowledge and career specific skills on the student. They also help develop analytical, written and oral skills of the student.